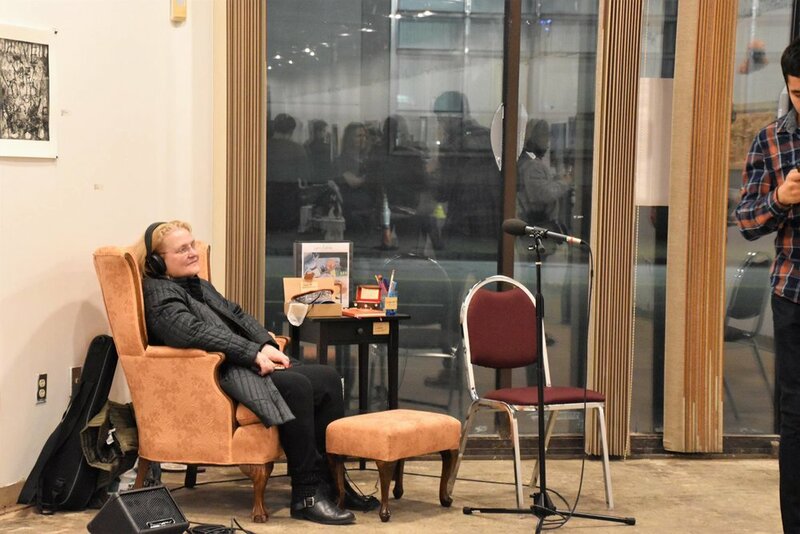 “Listen” (aka, The Listening Chair, 2017) is a multi-sensorial, interactive installation that invites the listener to have a meditative moment and time for self-reflection through music, questioning and tactile sensation. In a time where scrolling and stressing are the norm, where differences in race, gender, and sexuality continue to fracture our understanding of each other, we need to develop resources to truly listen to one another. 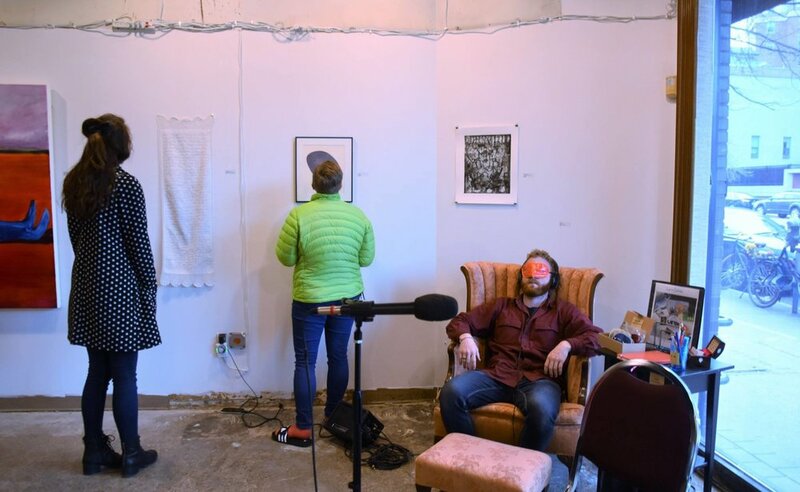 Participants of the installation are encouraged to sit, put on headphones and blindfolds, listen, comment and take a “Ways to Practice Active Listening” card with them. The songs played are the ones in the Soundcloud link on this page.